Item number 717/1 from the MOA: University of British Columbia. 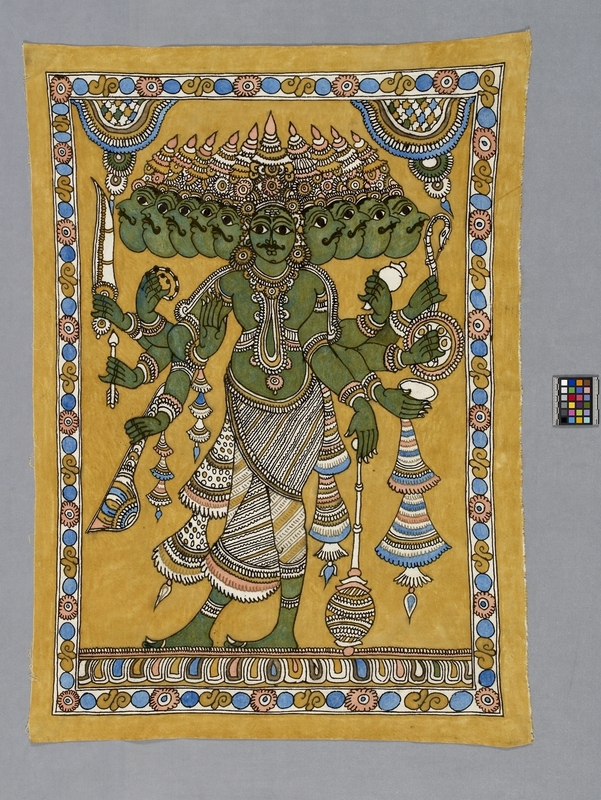 Textile depicting a green deity with 10 heads and arms on a yellow ground. 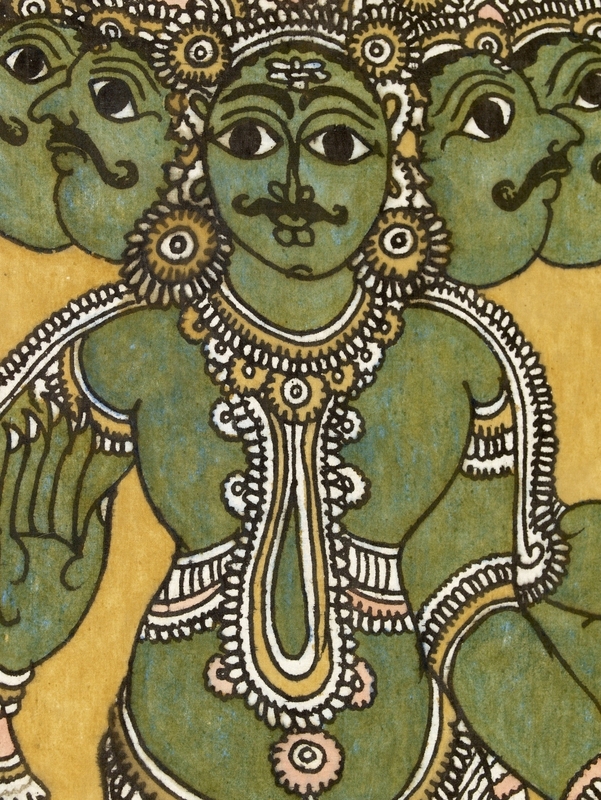 The textile is bordered with a floral and geometric motif.